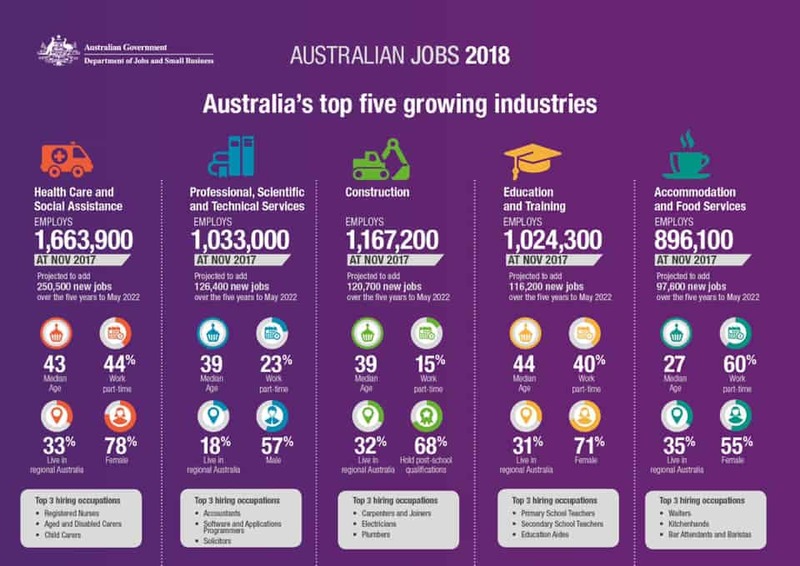 The Australian Government has released Australia’s top 5 growing industries! The top industry for growing jobs is the Healthcare industry which is expected to add over 250,000 jobs in the next 5 years! The Down Under Centre can assist you with visas, skills assessments, jobs and relocation services for Australia! We specialise in skills assessments for these industries and skilled, parent and partner visas. Looking for work prior to arrival in Australia?